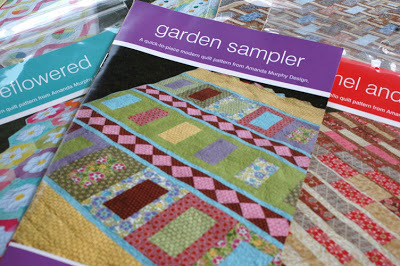 My final new pattern is Garden Sampler. This twin bed-sized design was originally published in American Patchwork and Quilting almost a year ago. I decided to reissue it becuase the really big blocks make it just perfect for some of those modern lines out there. Those big rectangles are 12” x 18”! I have an obsession with 17th century English band samplers and have stitched some reproductions on linen. (And while we are on the subject, check out this 17th century embroidery made by and 11 year old!) Unfortunately, since I have started quilting, I haven’t stitched much at all. So a band sampler for modern fabrics! Why not? Juxtaposing modern and traditional ideas works fantastically in decorating, why not quilts? Did I mention that there were prairie points on the top and bottom of Garden Sampler? Gosh, I’d love to see this sewn up in some really large-scale modern prints, like Sandi Henderson’s Secret Garden, or Marc Cesarik’s Tides. 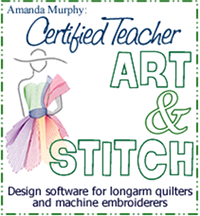 Next post: Feature at Ryan Walsh Quilts and Pattern Giveaway! 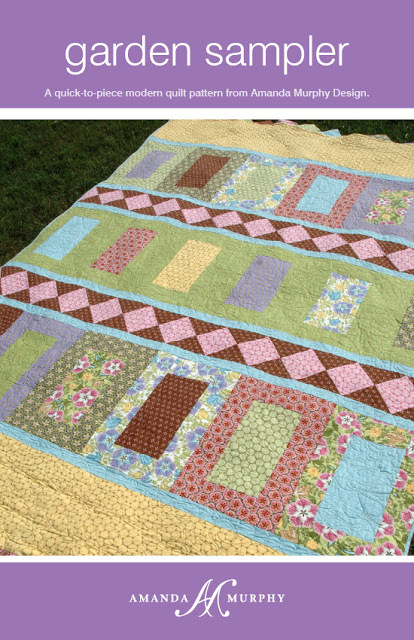 I love this quilt – the color palette is gorgeous! I love this pattern and the color and print choices are great. Love this!! 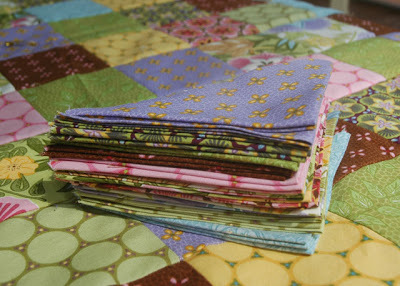 Gonna have to be my sprng project quilt! Another awesome looking quilt Amanda. You are just keeping that printer in business lately with all these gorgeous quilts you keep writing. I am falling in love. 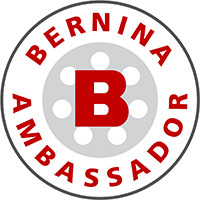 Your designs are awesome. Bejewelled, Beflowered, Caramel and Cocoa, and now Garden Designs. On my to do list for sure. Congratulations. Beautiful – our guild just did another row by row challenge – this would be great to do for this challenge next time. Another one for my wish list. That is growing quickly. Do I notice a bit of a new look here on your blog? You are one talented lady! This would be an awesome pattern for some of those prints that I just hate to cut up small! Beautiful! The new patterns look great! It really is hard to narrow it down to one. I think bedazzled is my favorite. 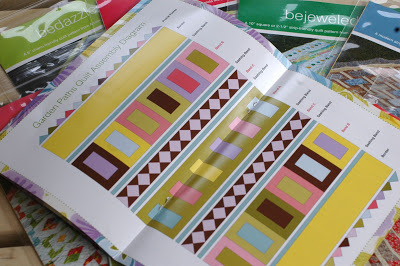 While all of your patterns are lovely, I particularly like Beflowered. And I would have to make it from stash, much as I would love to buy new fabrics, I just can't.